…or you just eat your dessert first. That’s how you get life to pass you by. That’s how you get old without having done all the adventuring you were planning to do. We gotta have a little faith and then just wing it. Way back in the dark ages and I was in college, by favorite classes were the art classes. And I always held off and did the homework last. Get through the less fun homework first, and then have all that time for the fun homework. I treated my art homework as dessert. The dangling carrot. Well, you know where this is going, don’t you? By the time I was done slogging through the boring stuff, I was tired and it was late and I never really got to my creative assignments. Or, if I did, it was a half-assed job. And I nearly failed the class…my favorite class I nearly failed. The teacher took me aside and said I could get an incomplete and take the class over or I could get a really bad grade. At the time I took the bad grade because I felt like a loser. Go figure. Bad choice. If only I’d made a better choice. Better still, if only I’d put my art homework first. I invite you to do something today you’ve been putting off because it’s something you want to do but have other obligations that have to get done first. Go have some fun. I’ll tell you a secret, the obligations aren’t going anywhere. And when you get to them, all refreshed, they won’t feel so burdensome. 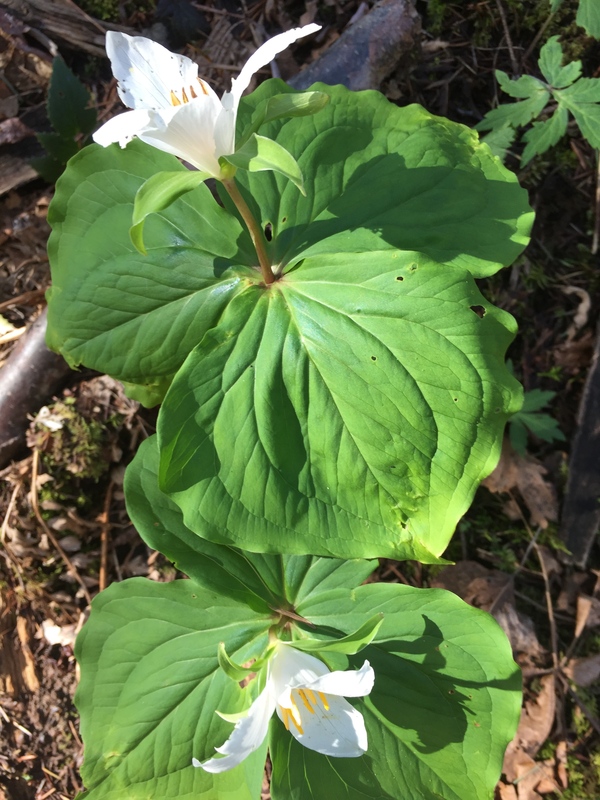 I leave you with a Washing State Trillium. I was so happy to see it when I went walking the other day. They are one of my all time favorite plants. The woods back in California were loaded with them, and I was so hoping I’d find some up here, too. 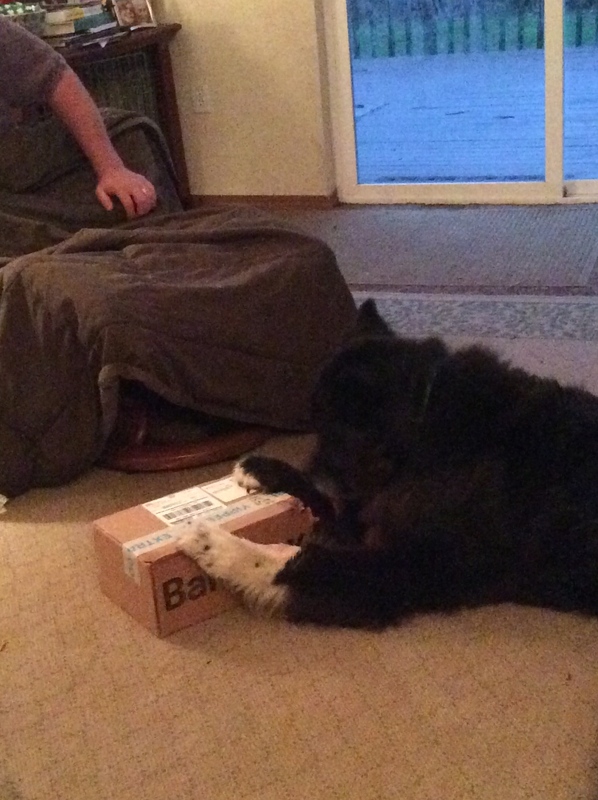 And Jinks opening up his BarkBox…Have a great week, Peeps! Jinks loving his BarkBox…What’s in there? Woman after my own heart! My favorite saying? Life’s uncertain. Eat dessert first! Great rant. Think I’ll read it aloud and get it off MY chest, too! Thank you, m’am. It did me some good to share it. Cleared the air like a little thunderstorm.